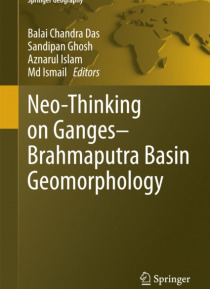 This book explores the latest advances in our understanding of the evolution of the Ganga-Brahmaputra delta, examining the Damodar basin, Bhagirathi-Hooghly basin and Jalangi basin from historical, quantitative and applied geomorphology perspectives. The evolution of the Ganga-Brahmaputra delta is highly complex and remains poorly understood. To address that gap, this edited volume presents 11 res… earch papers: the first seven chapters focus on the pure geomorphology and geohydrology of the delta, while the remaining four examine its applied geomorphological aspects. The book offers a valuable guide for geologists, geographers, hydrologists, landscape ecologists, environmentalists, engineers, planners and policy makers.